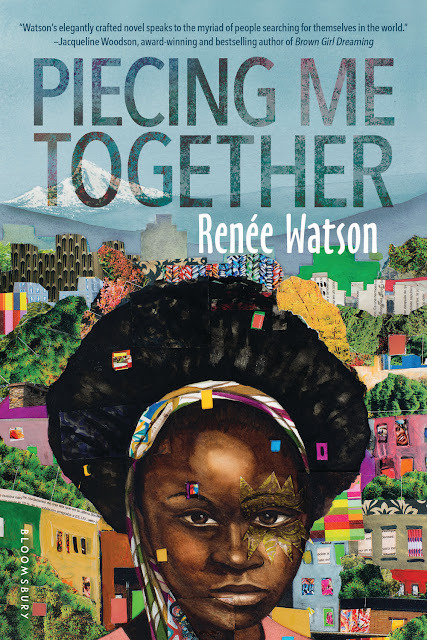 I really liked Watson's previous novel, This Side of Home, and was excited to read Piecing Me Together when I spotted it on Goodreads. Well, this novel did not disappoint. I liked how the author kept things real, touching on topics that are still so strongly present in society, while also depicting relatable problems faced by a teen girl. Jade wasn't perfect and didn't come from a perfect family. She's raised by a single mother in a far-from-lavish neighborhood and they shared their already tight apartment with Jade's uncle. Regardless, they did their best. The mother worked hella hard so her daughter could have a good life and always encouraged Jade to do the same. I loved how whenever she was tough with Jade, it came from a place of love and hope for nothing but the best. And I admired the respect Jade had in return, not only for her mother but for where she came from. Speaking of where she came from. Often times people judge others based on their address and have preconceived notions about their character. But Jade was really smart and focused. She went to a great school that often overlooked her because of the color of her skin, but still, she kept on and looked for opportunities. Many of the things that came up in the story, mainly things that Jade experienced, made me look into my own life and I could remember moments where I had faced something similar. We may come from completely different backgrounds, but I could understand and relate to how she felt and agreed that her perception was justified and dead-on. For instance, that trip would have benefited Jade just as much as any other student, and she truly worked hard and deserved to go. So her feelings about it were acceptable and I wish that Sam was more understanding. Sam's character is like many. She was a good friend to Jade, but certain things made her uncomfortable to discuss and she seemed to rather not talk about it. I grew frustrated with her like Jade because, in times where she should have supported and stood up for her friend, she tried to brush it off and explain away the situation. Thankfully she made an effort later on and they were able to hold on to their friendship. There were other elements of the story that intensified my interest, including the whole debacle with Jade getting a mentor. The way she was sort of shoved into that program pissed me off, but I again, Jade was going for as many opportunities as she could so it wasn't surprising that she accepted. But that mentor had me rolling my eyes so much. She needed more mentoring than Jade, which brought back the line in the blurb where "just because her mentor is black doesn’t mean she understands Jade," and that was so true. Glad Jade spoke up and her mentor opened her eyes to reality sooner than later. My gosh, I could go on and on with reasons as to why I enjoyed this one but I don't want to give too much away. Loved the writing, the raw depictions of emotion toward horrible events, and that poem at the end was a tearjerker. Such a thought-provoking story. Wonderfully done, Renée. 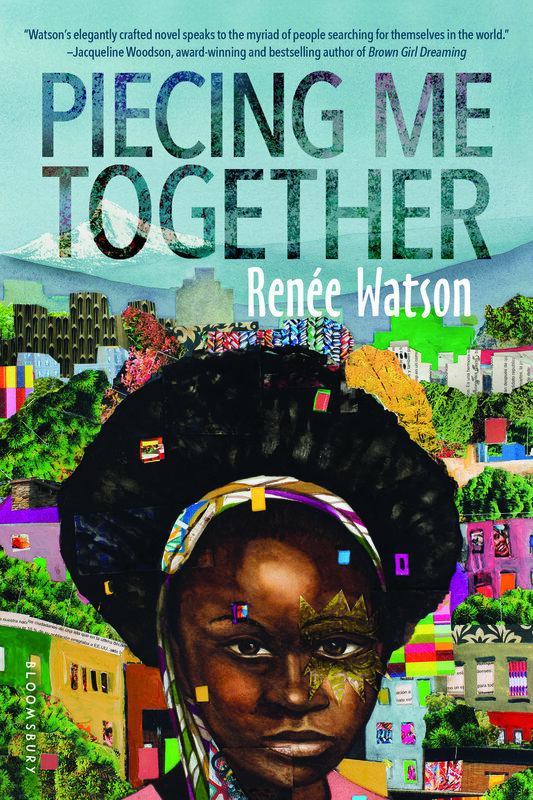 RENÉE WATSON is the acclaimed author of the teen novel, This Side of Home, and two picture books: Harlem's Little Blackbird and A Place Where Hurricanes Happen, which was featured on NBC Nightly News. Her middle grade novel, What Momma Left Me debuted as an ABA New Voices Pick. She lives in New York City. Adding this to my wishlist! Thanks for putting it on my radar, Shane! Good to see this author did not let you down, again! Yeah, she's a great writer that hits the right points.